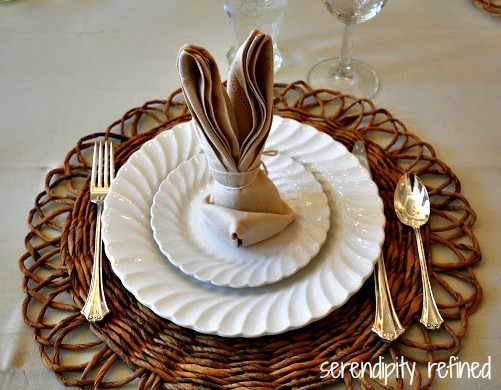 ...unless I can find an adorable napkin fold that looks like chicks...or lambs. 2) I did not invent this bunny folded napkin. Someone far more knowledgeable like Martha Stewart (or a member of her staff) made this up way back when I was probably still learning not to use paper napkins. 3) I spent a couple of hours with Martha's printed directions, a napkin, and an iron trying to figure it out. 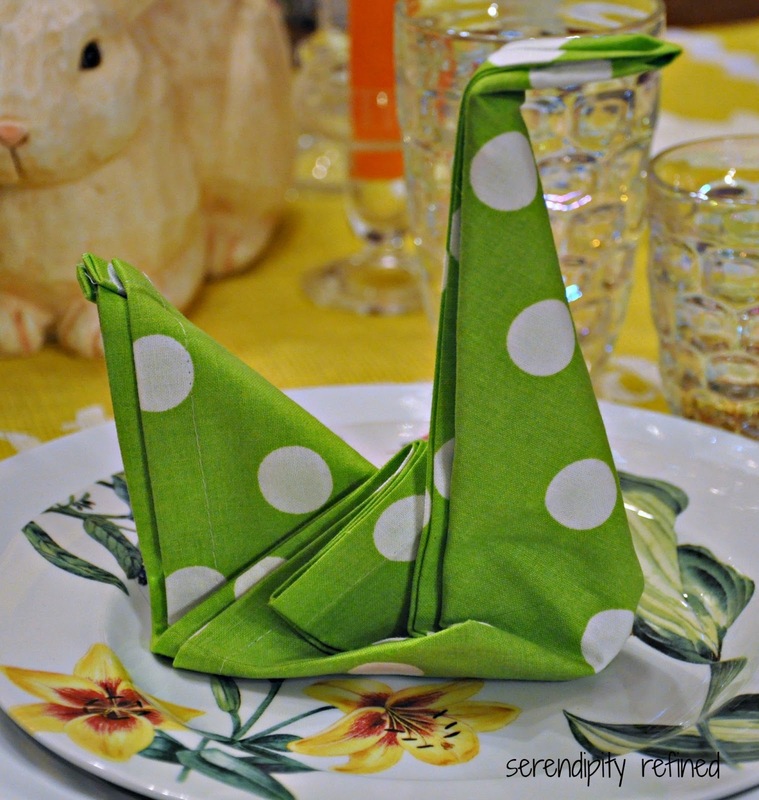 I decided that Martha probably didn't really want me to know how to fold my napkins into cute little bunnies...she just wanted it to look like she was sharing the directions. 4) There are several variations on this fold...I've seen darling ones that involve buttons...and thread...and sewing. 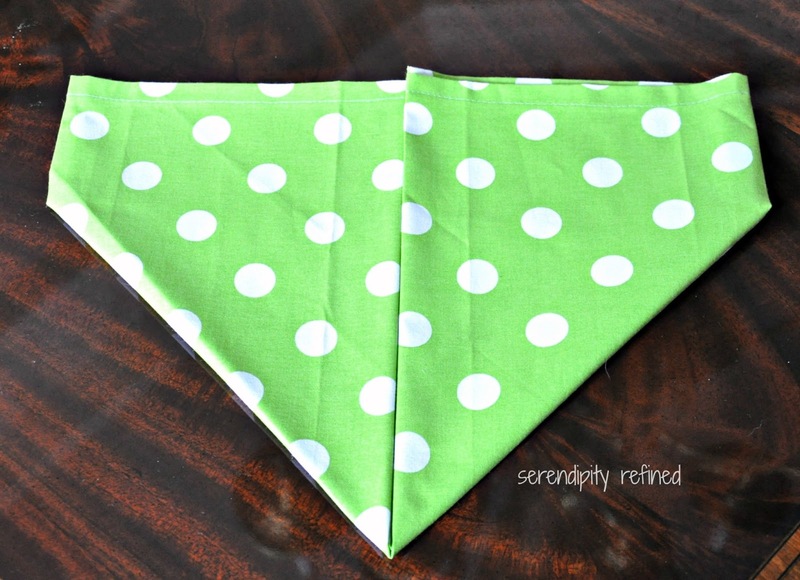 I, however, feel that a person should be able to fold a napkin for dinner without involving a needle and thread, a calculator or more than one cup or glass of the beverage of your choice...seriously. Here's how to do it. 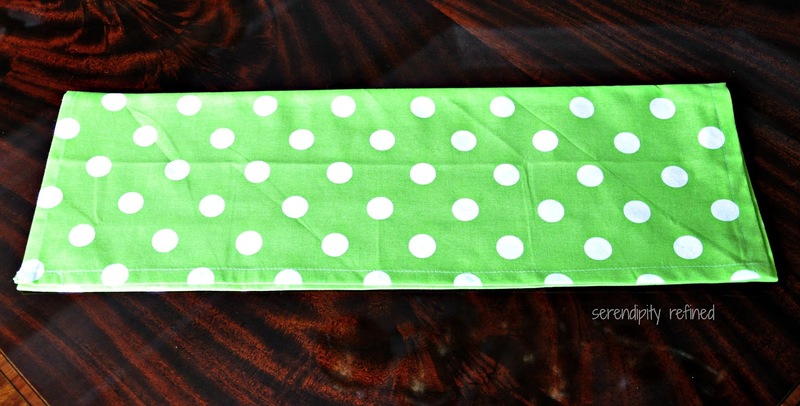 Start with a clean, square, napkin. Mine are 100% cotton and are 20 by 20 inches. 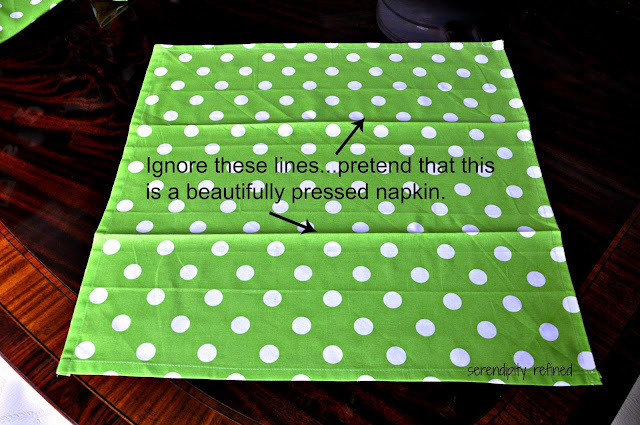 It helps to press them to within an inch of their lives prior to folding them. Go for it...use steam, use starch, use your local dry cleaner...whatever works for you....except white cotton wash cloths...I tried them. Don't bother. As you can see from the napkin above, this is a do as I say, not as I do, tutorial. Had I not taken photos, no one would have been any the wiser...so let's just keep this between us, shall we?! 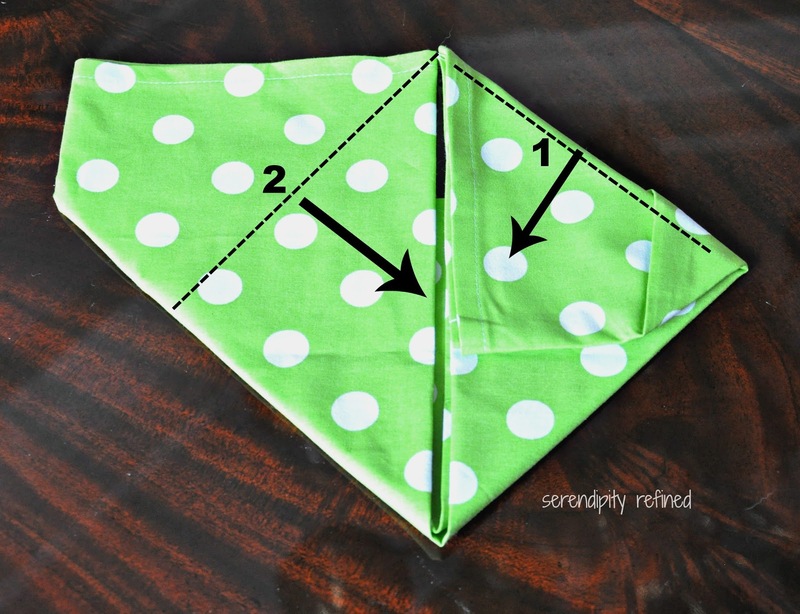 Fold the napkin into thirds and press along the fold lines. 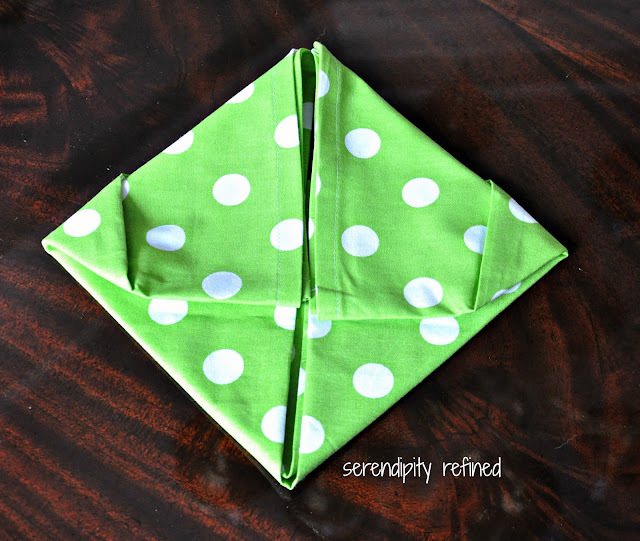 Fold the ends of the napkins "up" to the center line (which, in my case, happened to be a crease from the prior version of this fold that didn't completely press out..but I digress)... and press the fold lines. 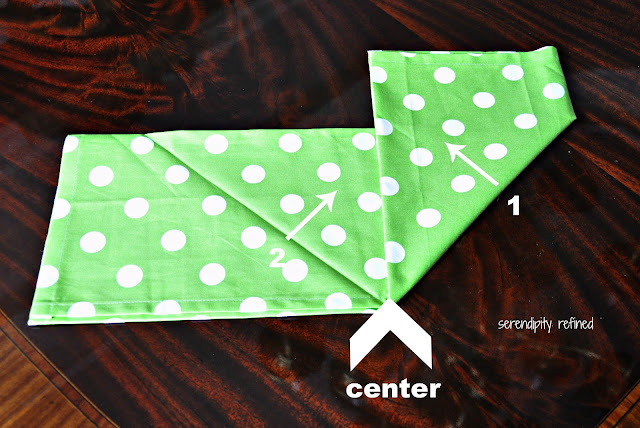 Decide that carrying the napkins up and down the stairs to press them after each step of the tutorial is nuts. 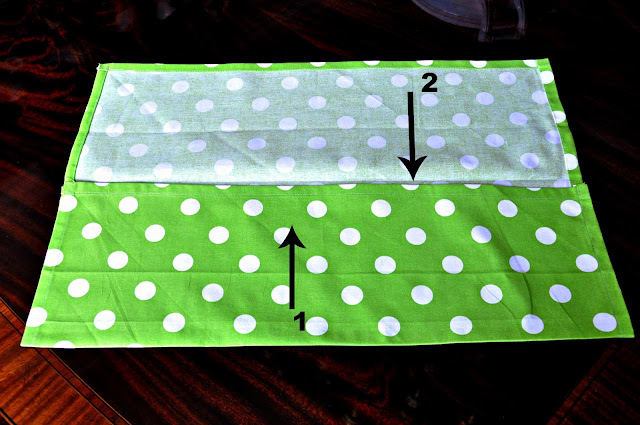 Fold 4 napkins at one time, each to a different step of the tutorial, carry them downstairs once and photograph 4 steps. Pat yourself on the back. Realize that you need to go back upstairs anyway because the laundry is ready to be put into the dryer. Debate whether or not the napkins would be better folded as swans....Decide that green and white polka dot swans are probably too contrived for Easter. 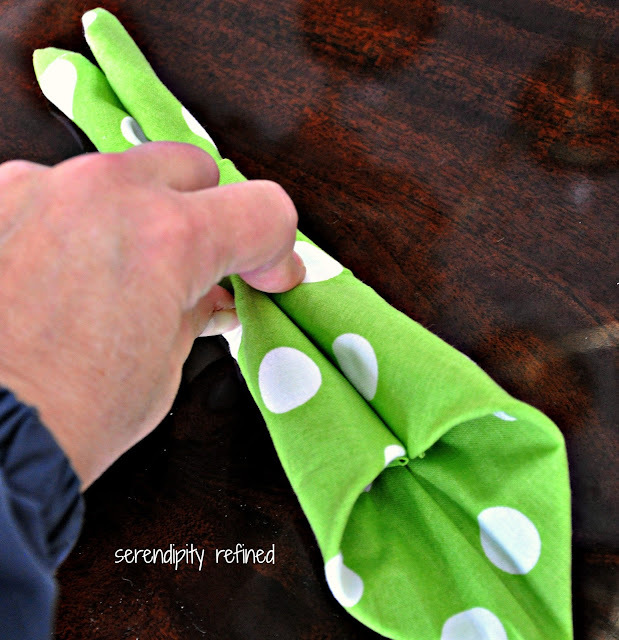 Repress the napkin and continue. 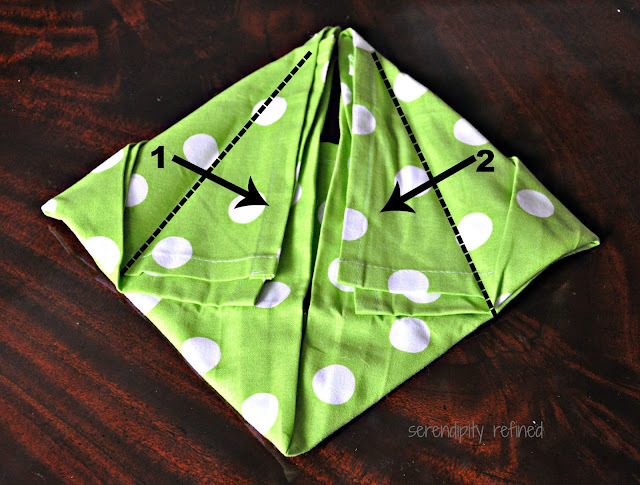 Fold the outside edges of the napkin toward the center and make another trip upstairs to press the folds. While you're there, take the warm shirts out of the dryer and hang them up so that you can avoid doing any more ironing...at least for today. Fold the outside toward the center and, finally, roll the sides inward. At this point, realize that you probably should have cut some 16 inch lengths of ribbon to tie around the bunnies to hold them together. Place a book, sauce pan or other heavy object on top of the bunny and go to your ribbon stash to find ribbon and scissors. Plug in the glue gun. 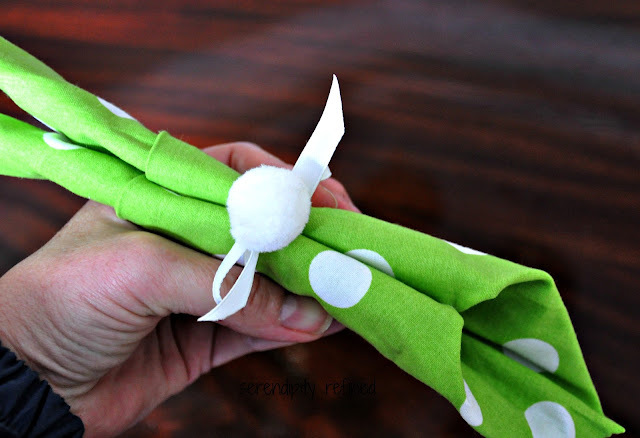 Spend 20 minutes trying to figure out what you did with the pom poms that you had left from the table runner. Cut and tie ribbon leaving a 2 (or so) inch circle. Hot glue a leftover pom pom to the bow before slipping it onto the napkin to avoid hot gluing it permanently to the napkin. Trust me....do it before hand. 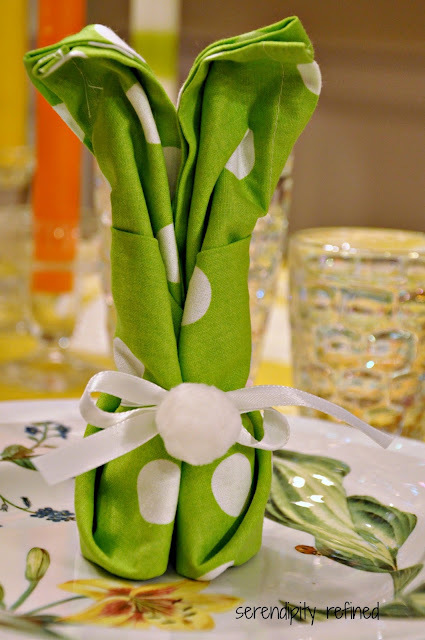 Slip the ribbon over the rolled napkin and slide it about a third of the way up from the bottom with the pom pom facing the "back". 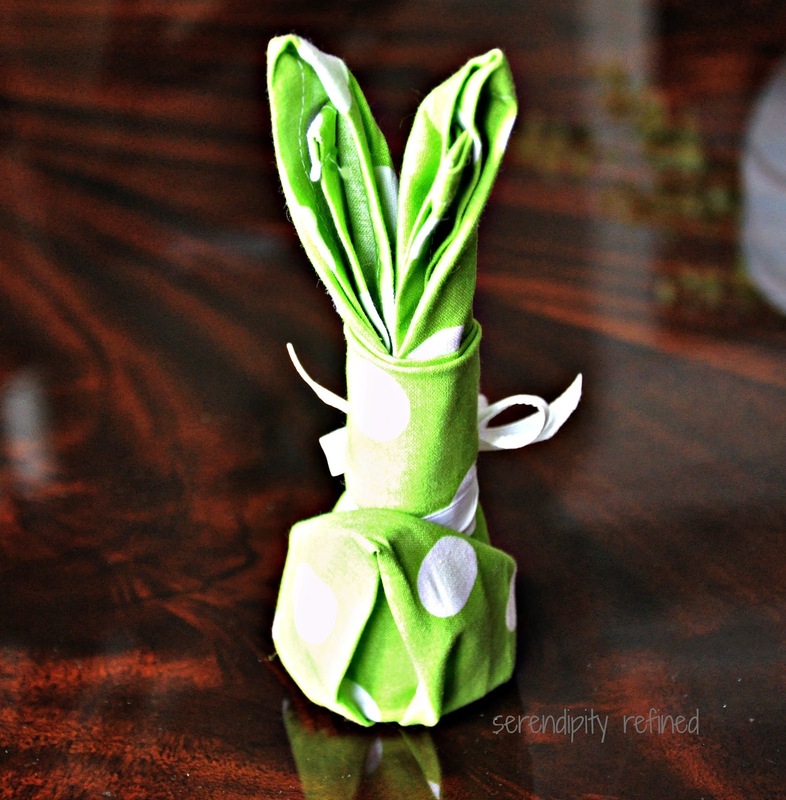 Turn the napkin around and fold the bottom part of the napkin up to form the bunny head. 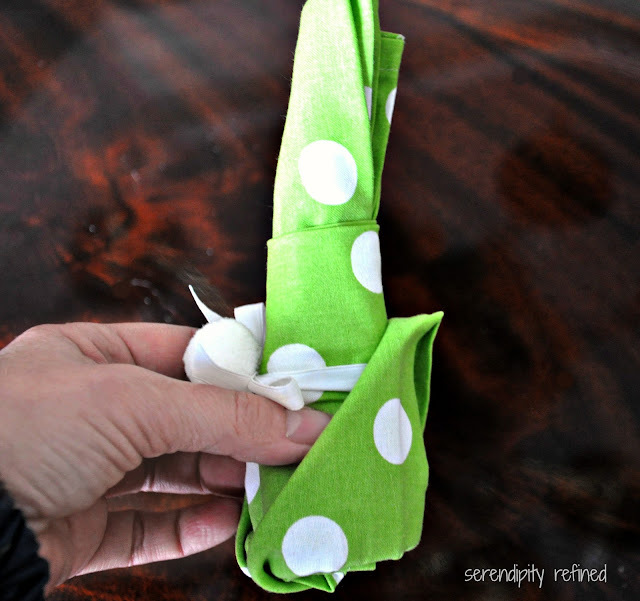 Using your fingers, round the bottom so that it will stand up and pull out the ears. 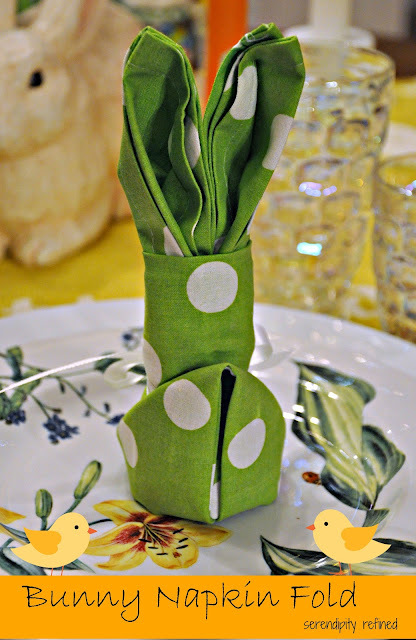 If you'd like to see the children's table all set for Easter using this napkin, my no sew "here comes Peter Cottontail" stenciled burlap bunny table runner, the upcycled baby food jar candy holders and the DIY carrot Easter candy holders, stop by on Friday!